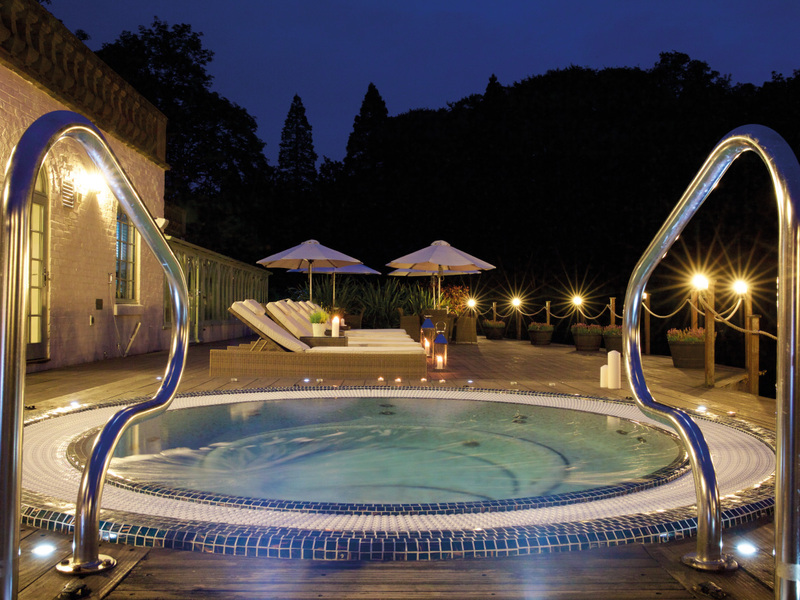 To celebrate the new spa at luxury country hotel they have launched a brand new innovative treatment; the Natura Bissé Bubble Pure Air Treatment. This is essentially a Natura Bissé 3D Collagen Shock Facial treatment in an Oxygen Bubble – a small domed tent which contains 99.995% pure air, a sterile area where the pure air maximises deep penetration meaning that 20 minutes in the ‘Bubble’ is equivalent to 8 hours sleep. This is a firming, remodelling facial with contouring techniques using 3 types of collagen for triple density and a heating gel that stimulates microcirculation. My therapist Amy directed me to the Bubble and as I stepped in through the zipped opening there was a slight cooling breeze and I could feel a change in the air. Once I was settled on the treatment bed, Amy first of all cleansed my face with the Natura Bissé Cure Cleanser and used the Natura Bissé Cure Toner followed with the Natura Bissé Glycolic Peel for a deep down resurfacing exfoliation. Once the Natura Bissé Intense Complex Serum was applied I had started feel the benefits of the pure air and did drift away a little. Next was the application of the Natura Bissé Essential Shock Cream and the Natura Boissé Essential Shock Mask. Last steps were the Natura Bissé Intensive Eye and Lip Cream, and to finish Amy applied the Natura Boissé Sheer Cream with SPF. This was an amazing experience the ‘Bubble’ certainly made a difference to how I felt during the treatment – a de-toxifying facial with great anti-ageing benefits. The treatment really plumped out my fine lines and wrinkles as when I stepped out of the treatment ‘Bubble’ I could clearly see a difference to my skin and felt comfortable sitting in the lounge for a drink without make-up! This is certainly an amazing experience which I can absolutely recommend. The Salon is located on the first floor of Wynyard Hall’s hotel, providing 26 new treatments from Natura Bissé and CACI Synergy. Treatments are priced at £15- £120. The treatment list can found at www.wynyardhall.co.uk/salon.